Pininfarina has reduced its net debt this year but is still losing money. TURIN – Canadian-Austrian parts supplier Magna International Inc. is weighing a proposal to buy Italian design specialist Pininfarina S.p.A., three sources with direct knowledge of the matter told Automotive News Europe. Earlier this month, Pininfarina's quarterly earnings report disclosed that the company could be sold as soon as Dec. 31. But Magna and Pininfarina declined to comment on the likelihood of a sale. Magna wants to strengthen its position as a global supplier of design, engineering and contract manufacturing, one source said. Pininfarina's design expertise and engineering know-how would augment the range of services offered by Magna subsidiary Magna Steyr, which engineers complete vehicles and builds cars for several automakers at its assembly plant in Graz, Austria. Magna has bid to take over an automaker, without success. It failed to gain control of Aston Martin from Ford Motor Co. and last year a consortium led by Magna was poised to acquire Opel/Vauxhall from General Motors Co., but the Detroit automaker backed out. After the Opel defeat, Magna decided to stop pursuing automakers and instead focus on its core business of being a global supplier of parts and services, including contract manufacturing. In August 2009, Pininfarina hired Banca Leonardo, a Milan-based merchant bank, to sell a 50.7 percent stake held by Pincar, the Pininfarina family holding company. The sale is part of a debt agreement made at the end of 2008 with creditor banks, which canceled 180 million euros in loans as part of the agreement. The banks will get the proceeds from the sale of the stake, which grew to 76.1 percent late last year after the banks canceled another 70 million euros in loans. Banca Leonardo officials declined to comment on the possible Magna takeover of Pininfarina. 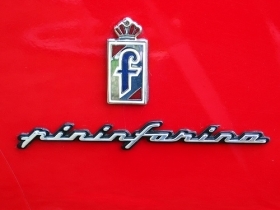 Pininfarina, which is listed on the Milan stock exchange, was founded 80 years ago by Battista Pininfarina, the grandfather of current chairman Paolo Pininfarina. Pininfarina has reduced its net debt from 157 million euros in 2007 to 58 million euros (about $78 million) as of Sept. 30. But the company is still losing money. For the first nine months of 2010, Pininfarina reported a net loss of 34 million euros, compared with 18 million euros a year earlier. For the full year, Pininfarina expects flat sales, more debt and a larger net loss. If Pininfarina is sold, the buyer will get a company that is focused on design and engineering, rather than vehicle assembly. The company still has two Italian assembly plants in Bairo and San Giorgio Canavese, both north of Turin. But Pininfarina will stop production at those factories when it completes the last Alfa Romeo Brera coupe and Spider models this month. Pininfarina also makes cars in a joint venture with Volvo Car Corp. in Sweden. But the company has an option to sell its stake if Volvo fails to submit a plan this year for its C70 replacement.